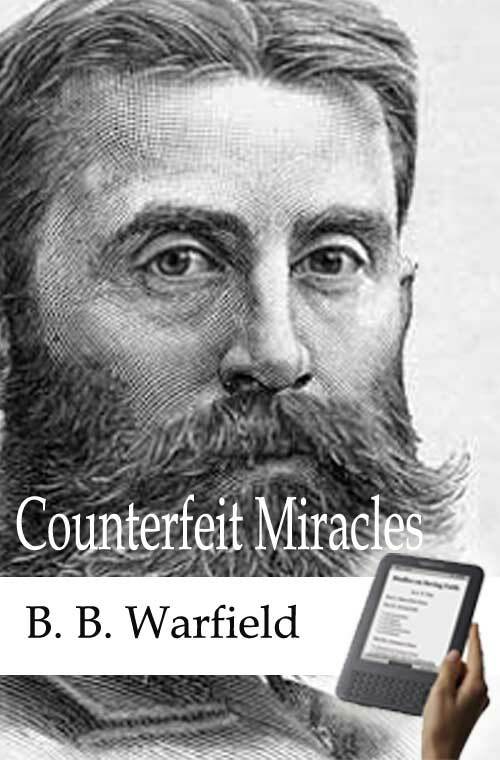 Dr. Warfield discriminates between miracles, properly so-called and Spiecial Providences, answers to prayer, etc., in that the former are wrought by an unmediated act of God, apart from processes, and are connected with revelation which, or the hearers of which, they are designed to authenticate and attest. With this definition, the thesis is that miracles have been performed in Christian history since Jesus, only by the Apostles and their next successors to whom they communicated the gift by the laying on of hands. That the Apostolic Fathers make no mention of miracles shows that in their time they had ceased. from the third century on, however, they are related increasingly on account of the influence of heathenism not only in general, upon and in the minds of Christians but also specifically through the Apocryphal Acts and Gospels copying heathenteratology. These ecclesiastic miracles are declared counterfeit almost by defintio, since revleation having been completed in the Apostolic Age, there was no further occasion for their existence, and since behind them, especially such as are assiciated with the worship of Mary, lies error and not truth. That is to say, by definition, miracles accompany revelation as its attestation, and since revelation found its organic completeness in Christ, miracles have ceased and no amount of evidence can make them credible.